WE FOLLOW A STRINGENT PROCESS TO ENSURE THE BEST QUALITY ORGONITE PRODUCTS ARE CREATED FOR YOU! Photon Orgone has to be made in a certain way, using certain proven materials, we use three sizes of metal in each unit, and some have metal powder, all have various metal shavings 2mm-5mm in length. We also combine up to 7 different metals together to make the Photon Orgone Unit which is super conductive so it generates Optimal levels Of Orgone Energy. Every Photon Orgone Unit has 23k Gold, Silver flakes, Colloidal silver soaked steel wool (Wilhelm Reich used wool in his accumulators) Aluminium, Iron, Brass, some items (Solder Wire) & Copper either in powdered or particle form, I have determined that this is the best possible combination of metals in order to conduct and attract the most amount of Super Strength Photon Orgone Energy. 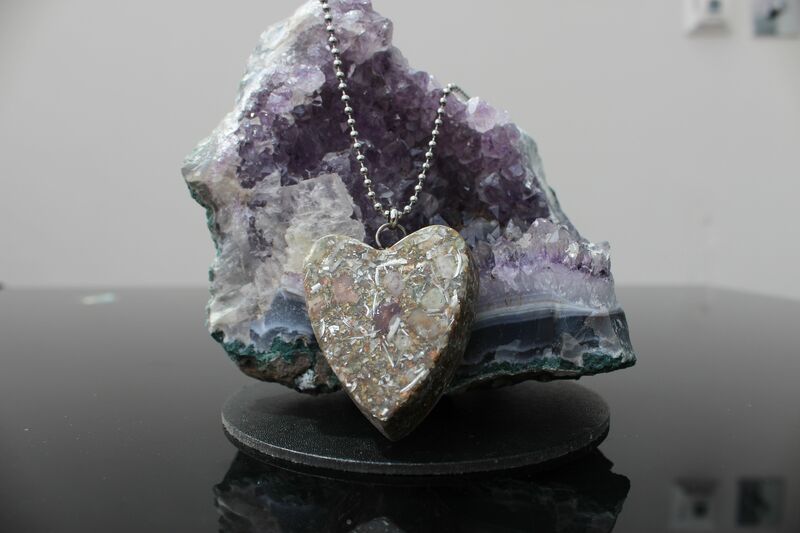 We put a combination of crystals, minerals, fossils, Monatomic Gold (orme) into the mix to enhance its properties. Has one double terminated Magnetic Copper Wire Wrapped Lemurian Crystal, plus four other single terminated crystals pointing towards each corner. This attunes the Orgone Unit to the Frequency and Axis of the earth (all you need to do is point one corner North) thus amplifying the Photon Orgone Pyramid Tenfold. Another amplification technique we have used is a coil made with a magnetic copper wire thus harmonizing the flow of Orgone Energy in a clockwise manner. When making Photon Orgone, we are totally pure (before every unit is made we bathe ensuring we are clean) we make our Photon Orgone only when we are in a good mood or with a clear trouble free mind, we program our units with good vibrations and positive energy using our thoughts and a Power wand, we also have the Schumann Resonance earth frequency of 13hz playing in the background to further attune our Photon Orgone units with the earth. Every item that goes into our Photon Orgone Units has been charged under a 1 foot pyramid or under our 6 foot pyramid where we make our units, they are also kept in our 6 foot pyramid whilst curing surrounded by a circle of Orgonite pyramids to protect them from harmful energies and negative programming. 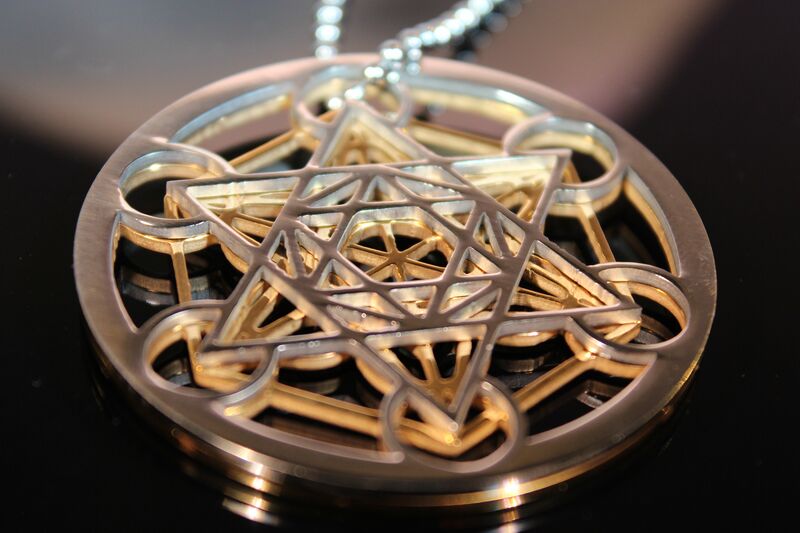 FANCY DECORATIVE ORGONITE..... A MUST READ! 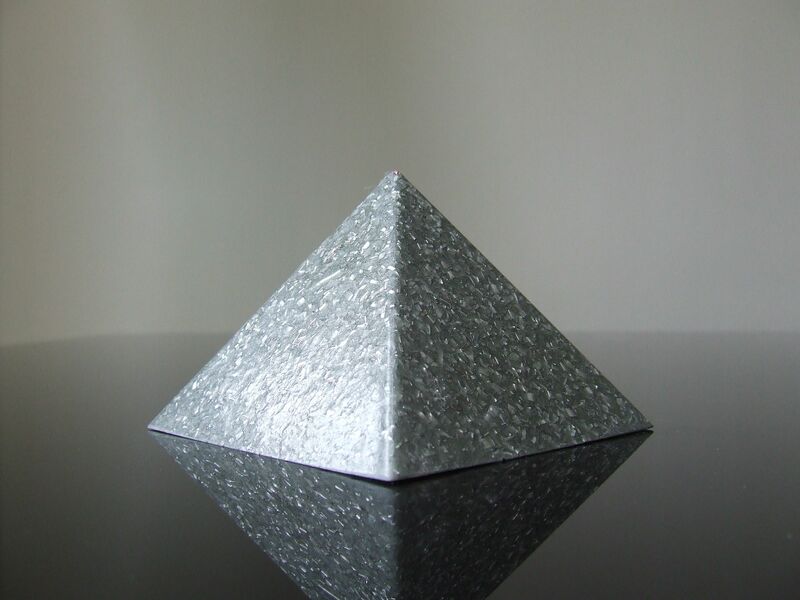 We at Photon Orgone believe in making the highest quality Orgone products relying on the very best materials and following a precise method of production to ensure that you gain maximum benefits from the end product. However, there are many Orgonite vendors selling Orgonite incorrectly labelled they use more resin than metal.... which means it’s not ORGONITE! We at Photon Orgone make Orgonite that works! Over the last ten years we have purchased around 50 pieces of Orgonite products from various vendors from eBay and other the internet sites. We then tested them using a Life-force meter and our Psychics who can actually see Positive/negative energy omitting from a person or unit. 50% of the products purchased and tested showed no signs of producing high levels Orgone energy as low at 15% Orgone energy output compared to Photon Orgone Orgonite , 25% did work but their Orgone output was weak (on average 45%) the other 25% made the product correctly on average 85% Orgone Energy Output. These results have been compared to our units and photos and videos will be uploaded to YouTube and my site shortly. As well as other materials, a good strength working Orgonite unit needs a 50/50 mix of resin and metal. Too many vendors put hardly any metal in their orgonites meaning it’s NOT ORGONITE! Thus MEANING it will do nothing, even if it has, coils, 10 crystals etc. in the mix.